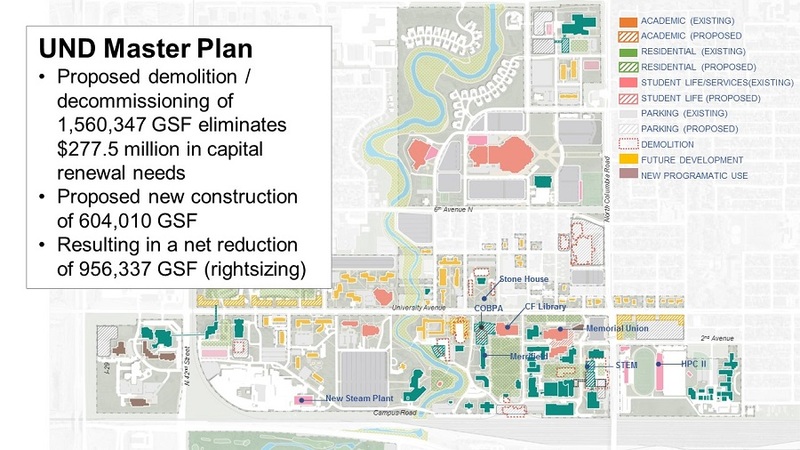 UND campus planners like Mike Pieper, through a revised 30-year Campus Master Space Plan, aim to make the University layout “more compact, connected and captivating.” Proposed blueprints are headed to the State Board of Higher Education for its review. 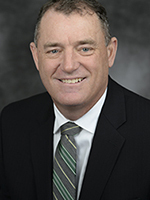 From vibrancy initiatives to capital requests, Associate Vice President for Facilities Mike Pieper is getting ready to present some innovative UND campus blueprints to the State Board of Higher Education (SBHE). That said, UND Provost Tom DiLorenzo tapped Pieper as the semester’s final Provost Forum presenter to give attendees a sneak peek. 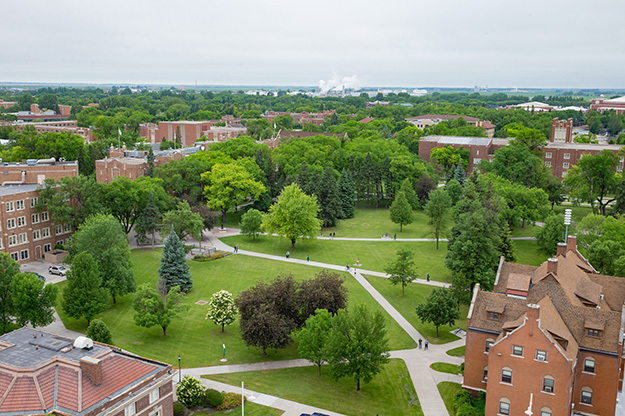 Pieper kicked off the conversation with an overview of the 30-year UND Campus Master Space Plan to make UND more compact, connected and captivating, crafted in partnership with design firm Sasaki earlier this year. 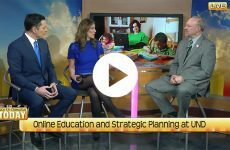 The 30-year vision of the UND Campus Master Plan takes into account future land designations for areas that that could see growth under the One UND Strategic Plan, like research and medicine. Associate Vice President for Facilities Mike Pieper says his team will reexamine the plan every six years to make sure it still supports University priorities. Image courtesy of Sasaki. The next six years will be busy for the UND construction, renovation and demo docket. Pieper gave updates on three major projects that won’t need capital funding from the state in the next legislative session – a proposed new building for the College of Business & Public Administration ($70M), the reworking of the J. Lloyd Stone House into a student engagement center ($4.5M) and renovations to the Chester Fritz Library ($21M). These projects will move forward using state-approved private fundraising dollars. 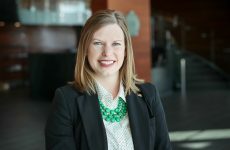 Associate Marketing Director Jennifer Swangler was interested to know more about the plans for the J. Lloyd Stone House, which could be moved across University Avenue, north of the current Montgomery Hall. “How might that space be different than other student gathering spaces?” she wondered. Pieper explained that the restored venue – UND’s only building on the National Register of Historic Places – would be more geared toward older students, serving as a venue for graduate school events, dissertation presentations and more. Considered one of the most beautiful and historic buildings on campus, Merrifield Hall (above), built in 1929, is the liberal arts hub on campus. Photo by Shawna Schill/UND Today. With the next legislative session just months away, UND has solidified three requests for projects that will require financial support from the state. The first will be a $35 million remodel of Merrifield Hall, one of campus’s most utilized academic buildings. The project would address critical maintenance needs and enhance classrooms with the technology students require to gain skills necessary for the modern workforce. The second request will be a new STEM (science, technology, engineering and math) building, proposed to be placed in the campus core, connecting the historic northern section of the Hyslop and a remodeled Starcher Hall. The project would provide necessary “wet labs” for increased research and student experiential learning. 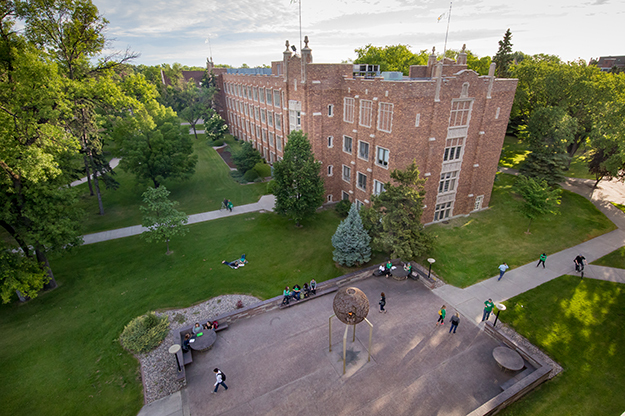 The third funding ask will be for a series of infrastructure projects that includes repairs and energy efficiency enhancements to UND’s historic buildings, major work on UND’s flight apron/ramp, and technology upgrades to campus buildings – such as a more robust wireless network and completion of electronic door access and exterior camera surveillance systems. Pieper will also be asking for authorization – not funding – of several other short-term campus projects, such as an addition to the High Performance Center and potential replacement of Memorial Union, which students could vote to approve as soon as this fall. 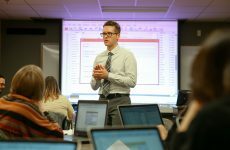 “What we need from the Legislature is approval to sell revenue bonds, which the students would pay back through student fees,” Pieper clarified. Facilities will be busy with a swell of summer projects and demolitions. Their work includes repairs and upgrades to several parking lots – namely the Clifford Hall lot, the Columbia Hall lot, and the Bronson lot (south of the new Medical School). Summer demolition is scheduled for the housing around Northwestern Drive and the Stanford Road 6-plexes, as well as Robertson/Sayre, Corwin/Larimore and Chandler Halls. “Plans with the new steam plant are also chugging along,” Pieper said, referring to the $75 million public-private project currently in pre-development. The proposed plant will be much smaller and more efficient than the current plant, and would be located just to the south of the Facilities building. Pieper hopes to present a full plan to the SBHE in August. Pieper also took a moment to update the forum of the evolving partnership with the City of Grand Forks to revitalize the University Avenue connection between campus and downtown, including a 2020 repave of the corridor and enhancements to make it a “complete street” – safer medians, enhanced bus stops, benches, lighting and vehicle/pedestrian wayfinding signs. Renovation work will continue in O’Kelly Hall through at least late October, incorporating a new space for the Teaching Transformation & Development Academy (TTaDA). 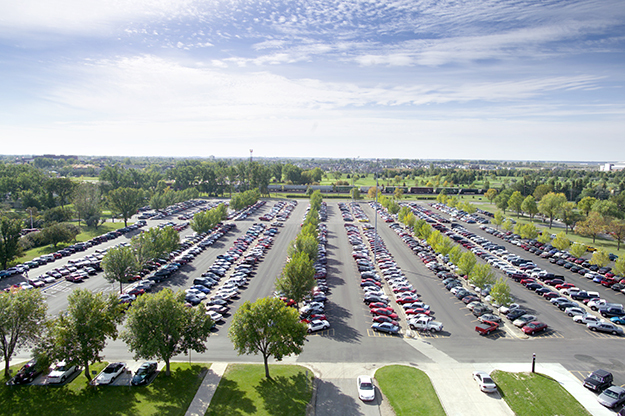 The 12-member UND Parking & Transportation Advisory Committee is looking for ways to simplify parking for the roughly 10,000 student, staff and faculty permit holders who drive to and from campus each day. UND archival image. Pieper took time to alleviate some concerns about proposed changes to future parking permitting. The UND Parking Committee is examining ways to pay for increasingly dire pavement repairs, which could require an annual $3 million investment to address and maintain. Permit rates haven’t increased since 2011, and it’s created what Pieper calls a “perfect storm” of funding needs. The committee is also talking though ways to shift parking zones to better suit driver needs. When asked if UND would see any permit changes for the coming academic year, Pieper indicated that there was no desire to rush any alterations or raise any rates, as most staff won’t see merit-based raises this year. “I met with the parking committee for the last time this semester last week, and I do plan to have a parking forum before school is out – but it’s not as urgent anymore,” Pieper said. This was the final Provost Forum of the semester. Those with topic ideas for fall fora can reach out to the Provost’s Office.